Neon Gold Beat Company: NEVER GO BACK AGAIN. 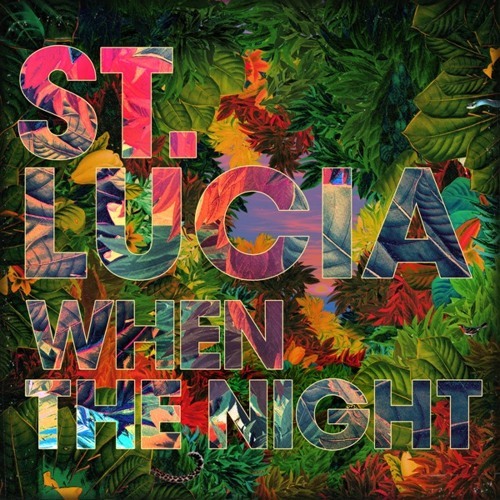 You guys, St. Lucia's debut album is out in less than two months and we can assure you you're not even close to ready. It's an all-your-dreams-coming-true-at-once kind of listening experience, and we can't wait to share it with the world as our first-ever album release on Neon Gold this fall. In the meantime, St. L's hitting the road with Two Door Cinema Club next month for a coast-to-coast US tour, and today unveils the record's breathtaking cover art. And now, to bring it all full circle, our first loves Passion Pit have remixed St. Lucia's current summer anthem, "Elevate," to help make the wait that much more bearable. When The Night is released October 8th on Neon Gold / Columbia Records, mark your calendars.